In our last newsletter we announced that we’ll be saying farewell to our Polaris and current Classics collection to make room for our new Spring/Summer 2014 collection, LAND, debuting next week. What does this mean for you? 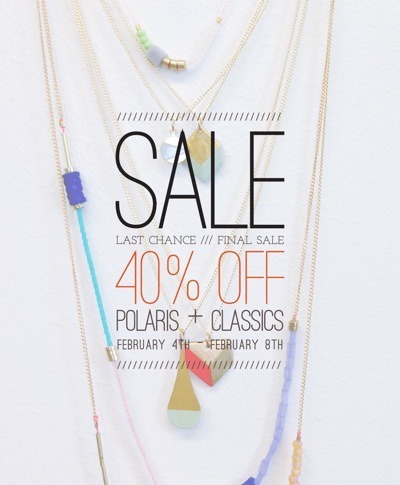 Now until Saturday, February 8 at Midnight, the collections we’re saying bye to (Polaris and old Classics) will be 40% off! We’ve got your Valentine’s Day gifts solved, gentlemen. Does this make it easier to double up on gifts and score a few extra points? Absolutely. Treat yo’self this V-day season!